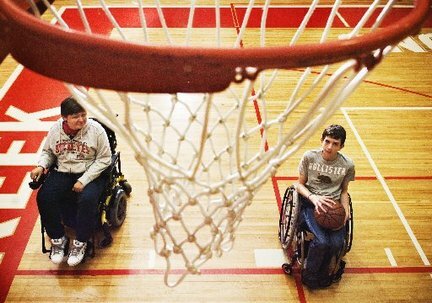 There was a great story in the Flint Journal on Friday about Justin Coburn, a 16-year-old Swartz Creek High School student who is helping to raise money for the Michigan Thunderbirds, a Paralympics wheelchair basketball team, and Muscular Dystrophy research. The cost for the event is $4 for a great event and a great cause. 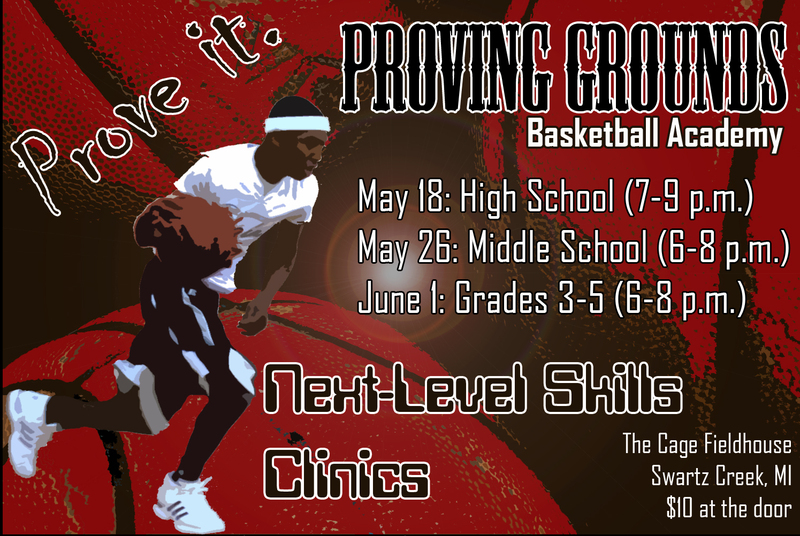 Basketball lovers across Mid-Michigan should get out and support this young man. Over the course of the season, I had been told of a brewing unrest among the parents. Two weeks ago, I received a call about a meeting with the parents, Fleming and the other coaches. I was told by a parent (of a non-player that attended the meeting) that Fleming would be back next season, but obviously something happened since then. If the stories of parents being unhappy with the attention that Steven Haney Jr. received this last year, I have to say I am saddened. If jealous parents had ANYTHING to do with Fleming’s ouster, the administration of the school should be ashamed. It would be an utter disgrace for any school to grease squeaky parental wheels at the expense of a great coach. Tom Hunt, East Lansing’s athletic director, has a lot of explaining to do. Sam Hosey is a friend and a legitimate news source. He’s not going to misreport or exaggerate the circumstances surrounding the firing, so I am inclined to believe that was is being speculated is true. This situation is a shot across the bow for all coaches. If Doug Fleming’s job isn’t secure, whose job is? One of the best coaches in Mid-Michigan is now without a team. 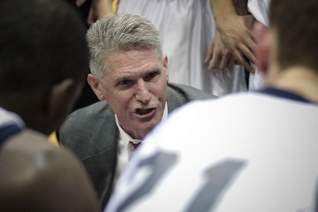 East Lansing’s Doug Fleming was fired this week for reasons that the school’s athletic director would not elaborate on. He told the LSJ: “I think the environment is toxic at a lot of levels, and I don’t like the direction it’s going in a lot of areas,” Fleming said. How, I wonder, could a team with so much promise (in the form of young talent) cut loose a coach who took a squad with less talent to the final four just two years ago? Is this another case of parents behaving badly? T-O-X-I-C. People like me, who follow basketball at the high school level very closely, know exactly what he’s talking about. 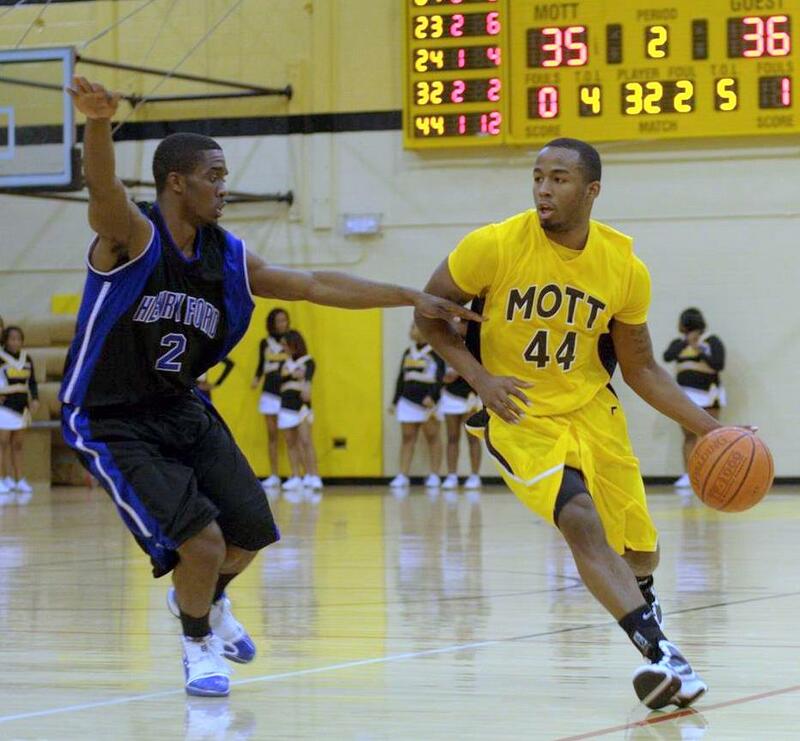 FLINT, Michigan — Former Mott Bear and Saginaw High Trojan Bobby Lewis has verbally committed to Northwood University in the GLIAC. Lewis, a 6-3 combo guard, came to Mott with a reputation for on-the-ball defense and improved in nearly every facet of the game during his two seasons. Lewis is strong, athletic and at his best slashing to the basket. This past season, Lewis averaged 11 points, five rebounds and three assists per game. He also led the Bears with 46 made 3-pointers. Lewis joins teammate Torian Oglesby at the next level. Oglesby recently signed with Bowling Green University. FLINT, Michigan — Marquel Ponder, a 5-foot-5 point guard from Flint Carman-Ainsworth, has verbally committed to Hannibal-Lagrange College, a private Christian college in Hannibal, Missouri. Ponder is quick with the ball and, at least pound for pound, probably the strongest guard in the Flint area. He didn’t play much in high school, but in rare cases that’s not an indication of how a player will do in college. Ponder will join the college ranks with teammates Dee Chapman (Prairie View A&M) and Glenn Cosey (Columbus State), who made recent commitments. HLG competes in the NAIA. Just being able to shoot is never good enough; former Mr. Basketball Brad Redford is case-in-point. If (and that’s a big IF) he can improve his on-the-ball defense, he has the potential to be a real difference maker for Xavier as a junior. With Jordan Crawford’s departure to the NBA, there are a lot of minutes to be had at Xavier this season. Brad Redford: Brad was sidelined towards the end of last season with a leg injury. The confidence in his shot seemed to wane as he worked through that. Redford stands to receive many more minutes now that Crawford will be moving on. He must continue to work on his one on one defense and creating scoring opportunities within the three point line. As with all players increased minutes should equate to increased confidence and with that I think Redford will expand his offensive game. To be clear he makes an impact on defenses whenever he is out on the floor due to his tremendous ability to dial it in from deep. Much like Frease this should be a make or break year for Brad in regards to expanding his role beyond designated team marksman. LIVONIA, Michigan — The Michigan Mustangs, long considered among the best AAU basketball programs in the Midwest, seems to have fallen on hard times. At the IPS Tournament in Metro Detroit on Saturday, the Mustangs lost twice to the Michigan Hurricanes (at the buzzer) and OAA Select. It’s not as if the Mustangs are short on talent. They’re big, athletic and suit up the newest Spartan, Dwaun Anderson. In truth, they are three times more talented than OAA Select, which actually has a couple sophomores on its roster. OAA Select won for no other reason than they simply play harder, and as a team. The victory for OAA Select is really a victory for all grassroots programs in the state. I love seeing the “name” programs get shot out. It’s a guilty pleasure. Ben Lanning (6-8 PF, Michigan Hurricanes): Big, long, athletic and skilled. I’m always suspicious of guys like Lanning, but he’s really good. Gary Cooper (6-8 PG, Ohio Gators): Best and most dominant player I’ve seen this spring. Basically unstoppable. 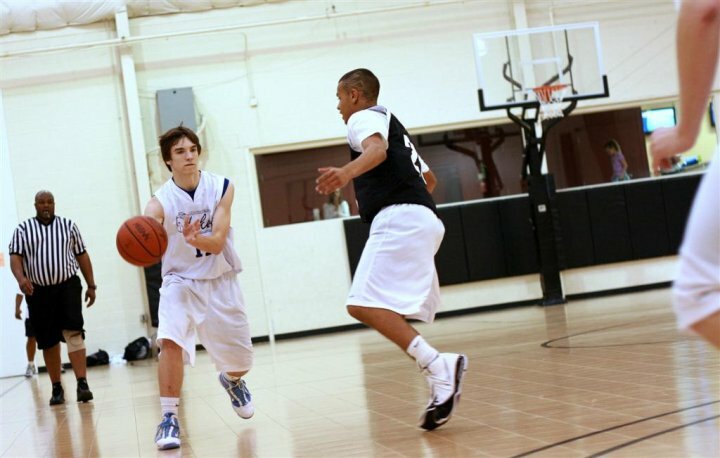 Jordan Myrick (6-0 PG, GR Storm): He’s the class of the 2011 point guards. Wicked good ballhandler. Josh Fugate (6-0 SG, OAA Select): Merely a good shooter at Holly, he’s turned into a great shooter this summer. Got the best of his friend and fellow sharpshooter Kody Chandler (ACB) in another big win. Dwaun Anderson (6-4 SG, Mustangs): Uber athletic, but takes pains to prove to the fans on Spartan Tailgate that he can actually shoot. He really can’t. Still a great prospect. Marquavis Ford (6-1 SG, Team Pride): Big-time talent. Quick, athletic and energetic. Didn’t show his full potential enough during the high school season. Nathan Sauvola (6-4 SF, MM Lakers): Great inside/outside game. Skilled Euro-style forward. NAIAs and D-3s should be all over him. LANSING, Michigan — The Mid-Michigan Lakers fell in the championship final of the gold division Sunday night in the CDBA/Bankhoops tournament in Lansing. Tested by prom on Friday night (three starters missing) and in the toughest U-17 pool, the Lakers managed to get in the gold bracket and make a run. Two Lakers were selected to the all-tournament team: Ahasuerus McDonald (Flint Northwestern) and Nathan Sauvola (Grand Blanc). McDonald averaged more than 20 points per game. In three games versus ACB White and ACB Gold (the eventual champions), he scored 84 points. He was also second on the team in assists. If McDonald isn’t the most underrated point guard prospect in Michigan’s 2011 class, I will eat this keyboard. I’ll just leave it at this: He’s better than a lot of the PGs you’ve heard of. Sauvola, a euro-style 6-4 forward, nearly averaged a double-double in the tournament and was the team’s leading 3-point shooter. 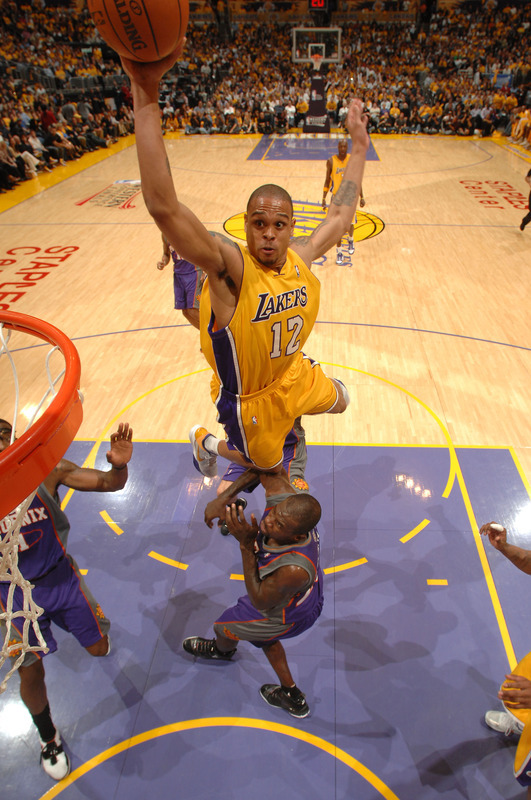 He has the ability to score in the post as well due, in large part, to remarkable agility for a 240-pounder.